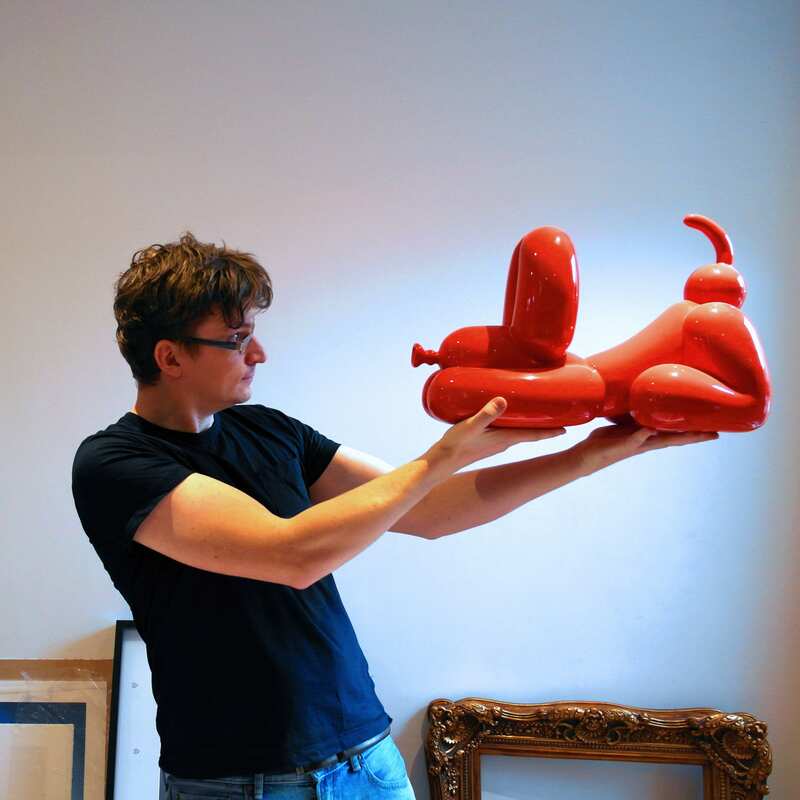 Happy POPek balloon dog is a statue depicting joyful balloon pet in a lively and playful pose ready to fetch the ball (balloon). 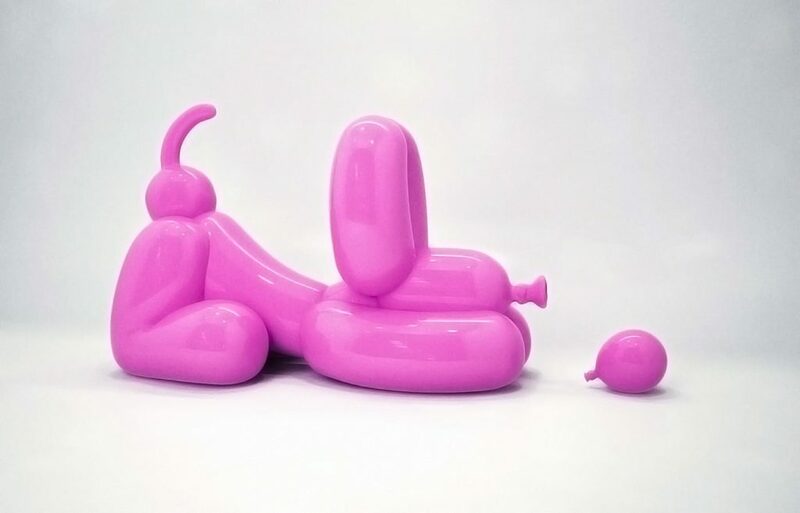 The dog is positions in dynamic, high alert manner with the paws in front of its face and bottom raised up to indicate high alertness during play time. 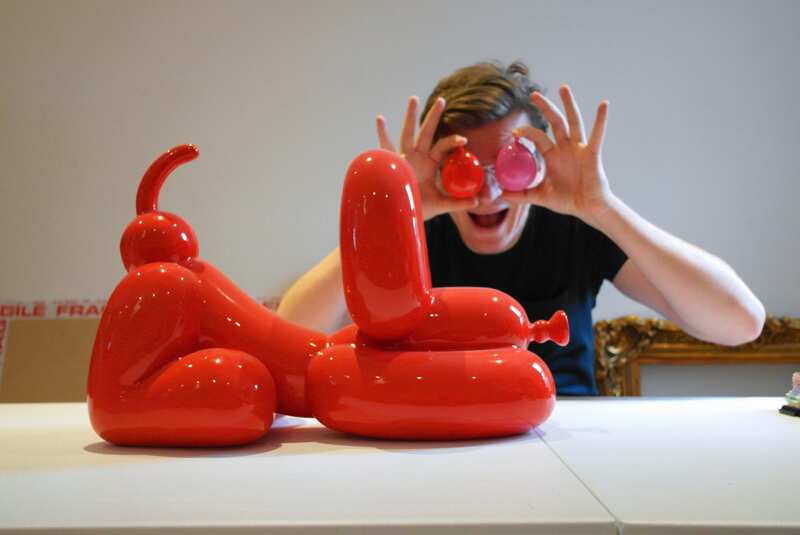 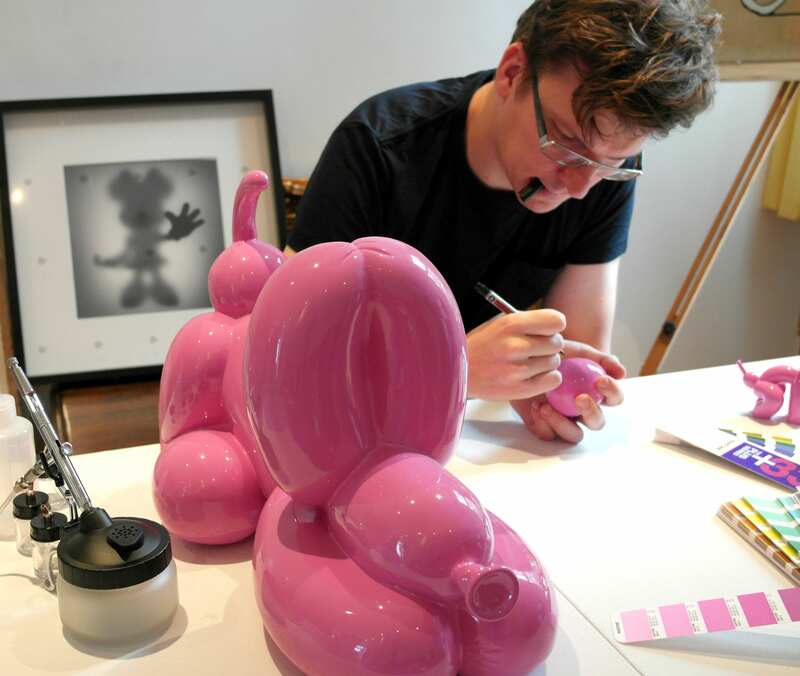 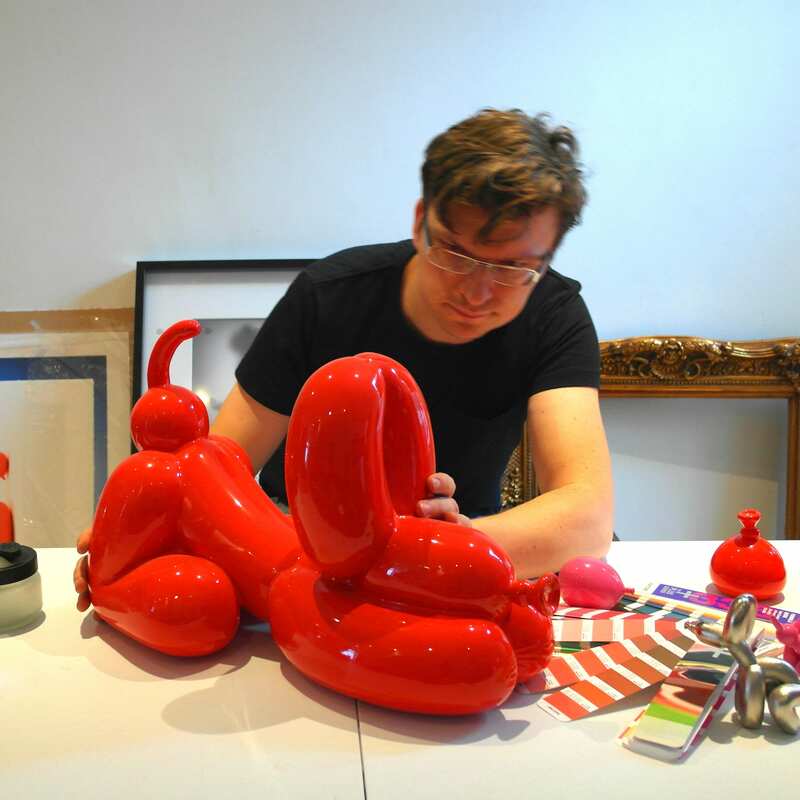 This cheerful creature is painted in bright red color finished with high gloss coating, contrasting against gray color palette of the corporate environment in large cities, emphasizing its playful nature and encouraging viewers to smile and enjoy little things like balloons. 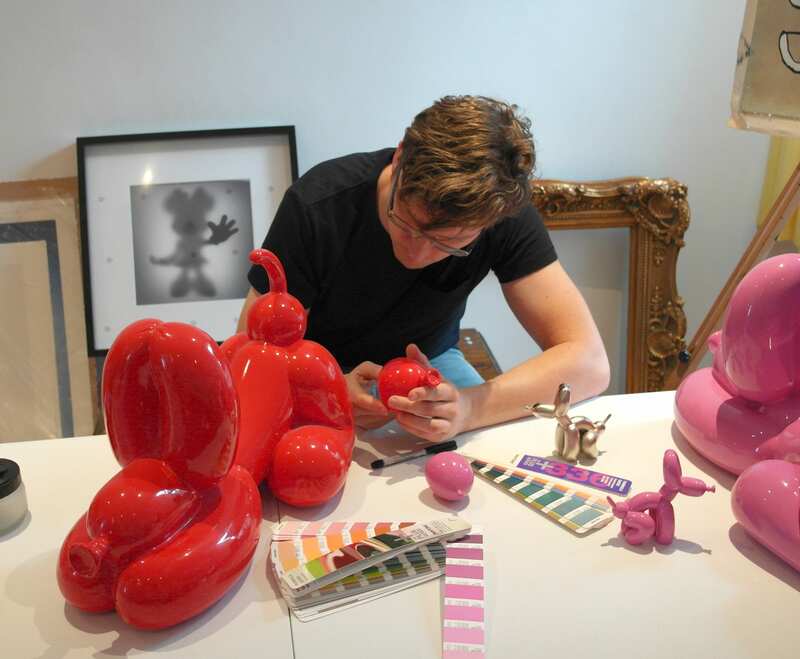 Statue is available in 25 editions worldwide in red and pink colors.